Domestic violence is something that should always be taken very seriously. Whether you’ve been emotionally abused by your partner or physically, each type of domestic violence can create its own damage to a person. 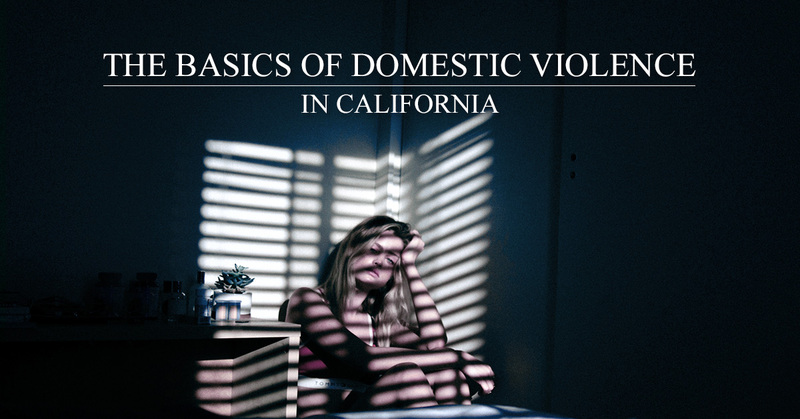 If you’re faced with domestic violence in the state of California, then there are some essential facts about domestic violence that should be understood to keep you safe. As family lawyers, we’re able to help you overcome your situation if you wish. In Deciding To Divorce While In An Abusive Marriage, we covered how to come to a decision to file for divorce when you’ve dealt with domestic violence. If you’re faced with domestic violence currently, then come to us to discuss your situation. We practice the utmost discretion and have experience with these types of situations. In the state of California, domestic violence is seen as an individual committing an act of crime to a spouse, former spouse, cohabitant of the household, parent, child, or a partner. In California, domestic violence is usually paired with child abuse. If domestic violence goes to court, then a prosecutor has the ability to charge a defendant with domestic violence based on multiple sections of the Penal Code. The prosecutor can decide what criminal charges to pursue based on the conduct, harm to the victim, severity of the crime, and other circumstances that factor into the situation. Additionally, in California, a domestic violence victim is able to apply for emergency restraining orders and protective orders in civil and criminal court. If you’re afraid for your life, then a protective or restraining order is qualified for protection under the legal system of California. Getting a restraining order or a protective one doesn’t always rely on physical harm, but the knowledge that imminent harm may happen as well as emotional abuse. What Does Domestic Violence Consist Of? There are many different types of domestic violence. Sometimes a domestic dispute is a one-time situation that got out of hand and other times it’s a lot more than an isolated occurrence. If an argument got out of hand and an object was thrown in rage or if you’ve had multiple incidents that have resulted in the police showing up at your door, each domestic violence episode should be treated seriously. In California, stalking, damaging properly, inflicting physical injury, threatening, and abandoning are all domestic violence situations. There are distinguishing factors between each domestic violence type determine how one will be charged. A family lawyer is able to help those who have found themselves in a domestic violence dispute by advocating to represent your interested. If you’ve found yourself in a domestic violence situation, then Lopez & Wilmert, LLP is able to assist you in protecting your rights. We will help to strategize a plan that’s right for you and to help you get the outcome that you want for your situation. You shouldn’t ever feel like something is out of your control and harm may come to you. At Lopez & Wilmert, LLP we’ll assist you in fighting for your rights as well as protection for a safe future.